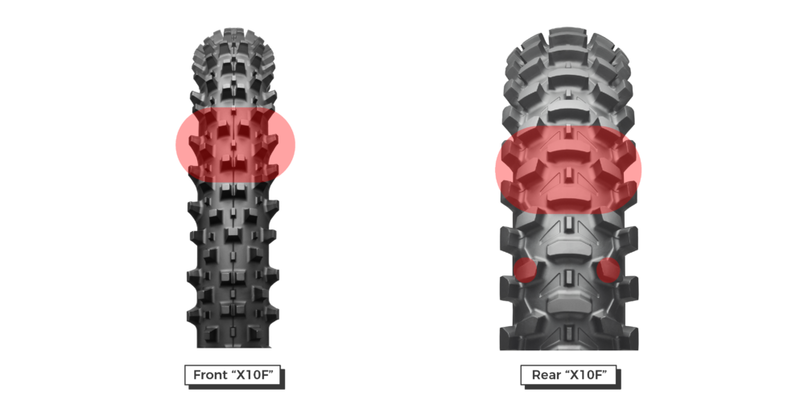 Compared to its predecessor M101/M102, Battlecross X10 shows significantly stronger traction in sandy conditions with superior rear grip and stability. X10 is developed and tested by international champions. 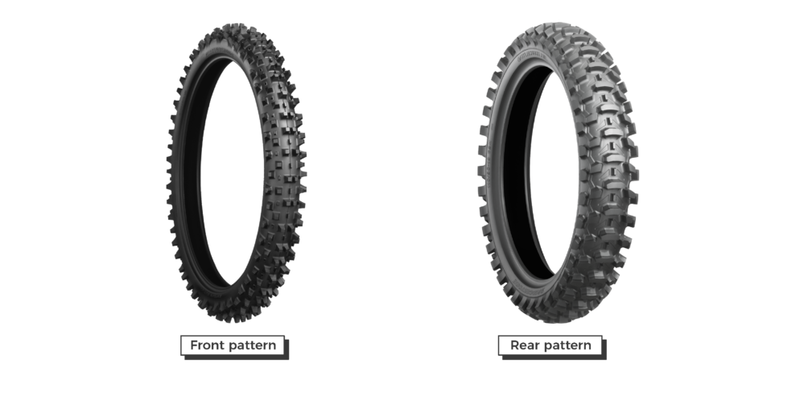 By introducing this design to the Battlecross-range, Bridgestone makes world-class performance on sandy tracks attainable for all riders, from beginners to official racers. 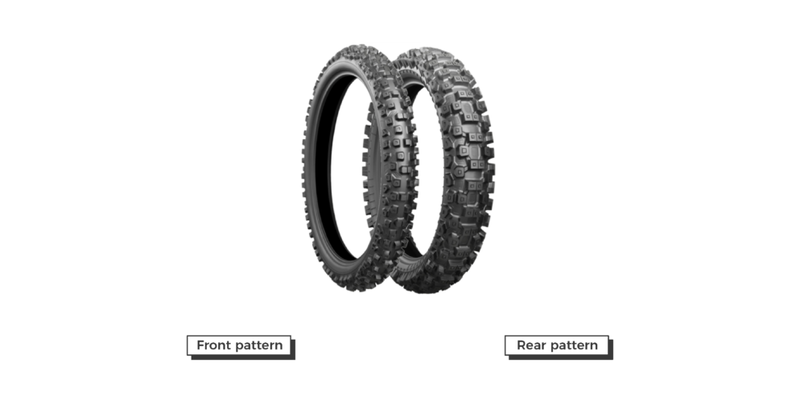 This design adds grip as tyre flexing dislodges clogged sand, even when the blocks start to wear. By reducing the rigidity of the central block and increasing block deformation in general, traction and sideslip control are significantly improved. Optimal progressive traction without lateral sliding, thanks to the Bridgestone's patented block design which ensures excellent response under both acceleration and braking. Just like in X30 and X40, the Castle Block system creates an enormous working range for X20. These blocks in the tyre carry a convex section to enhance traction, because their edges really “catch” the track surface. 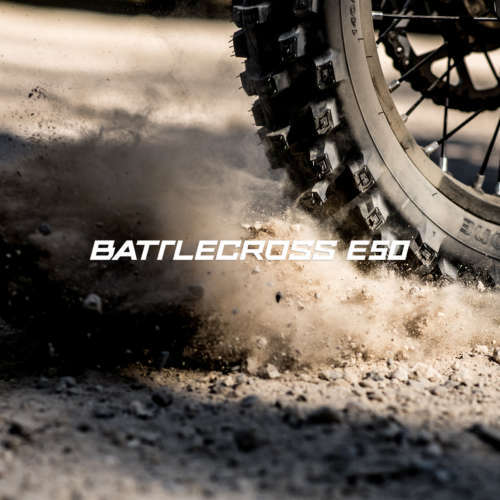 Developed in the major Motocross races, the Battlecross X20 is suitable for all types of bikers, from beginners to top riders in the international championships. The incredible grip of the Battlecross X20 allows you to tackle even the most challenging lines, ensuring maximum confidence on every bend! Developed to adapt to any type of ground, whether soft, medium or muddy, it's a tyre that offers really versatile performance! 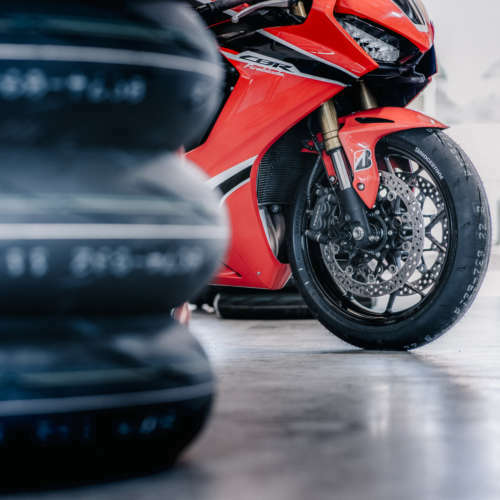 The profile of the rear tyre, with its perfectly symmetrical blocks, allows it to be fitted in either direction for even faster changes in the pits. Get the safety you need to tackle an even wider variety of ground surfaces. 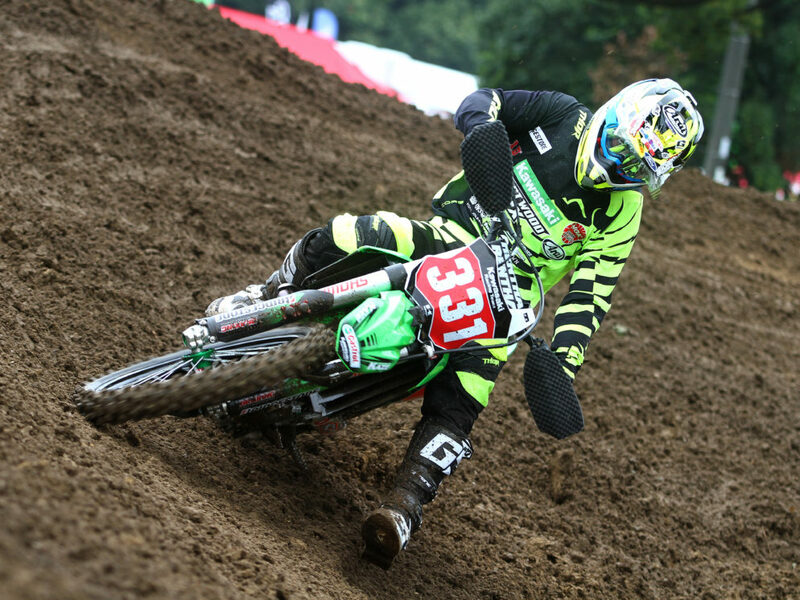 With Bridgestone's most advanced Motocross technology, you won't find any obstacle in your path. 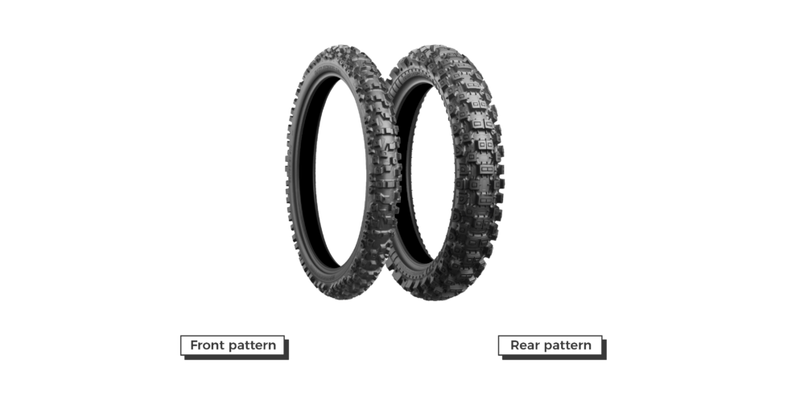 Optimal straight-line grip and traction allow you to unleash the power of your bike, with a level of stability and responsiveness never seen before in a motocross tyre. Enhanced shock absorption and a greater feeling of contact with the ground give you a wide choice of cornering lines and allow you to avoid any obstacles. 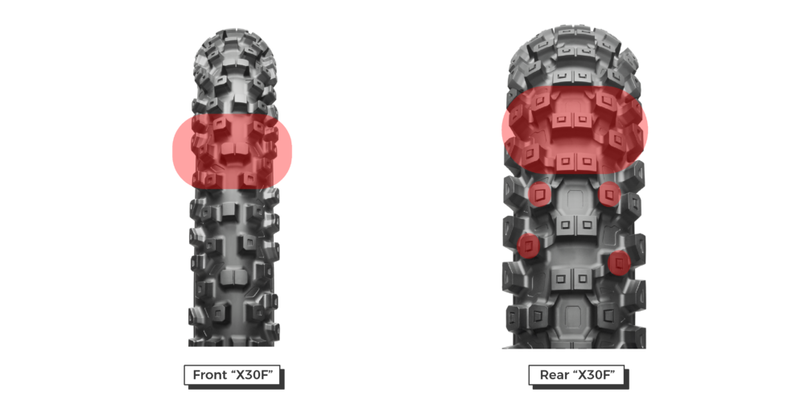 Flexible tyre response to deal with different types of terrain. 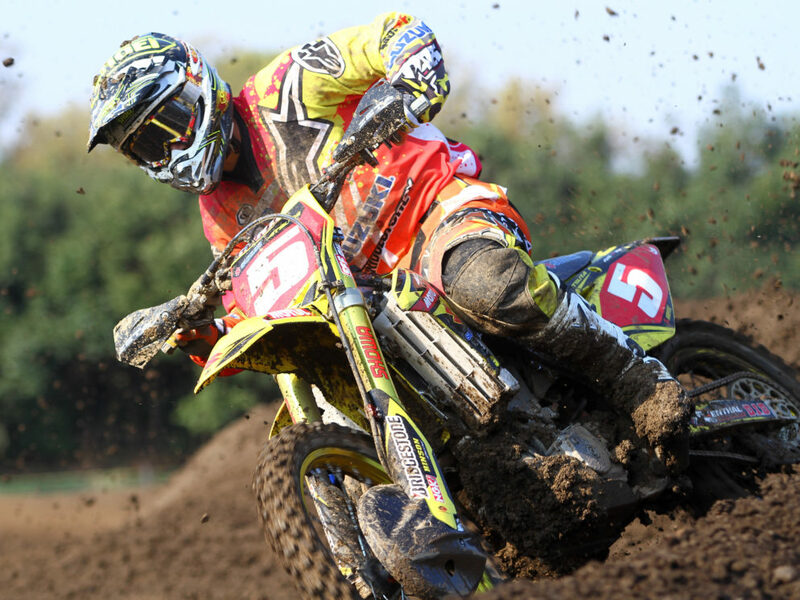 Superior traction and grip on soft ground and hard clay extend Bridgestone's unbeatable motocross range. Ready to tackle the most difficult terrains Designed to cope with even the most difficult terrains with ease and precision. So you can experience the thrill of boundless off-road performance. 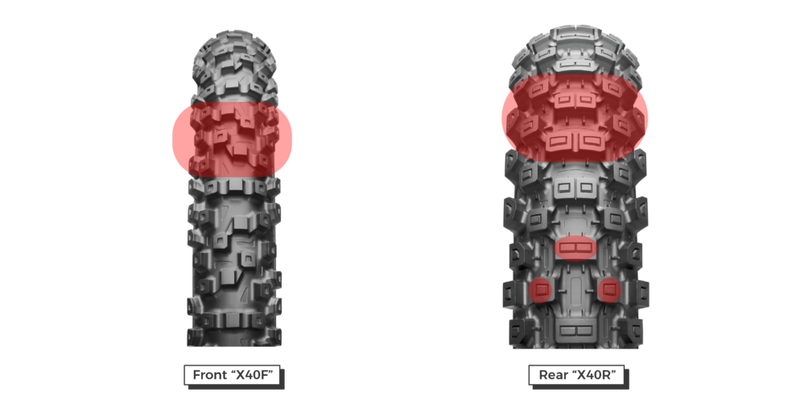 Developed and tested in the major motocross competitions, Battlecross X40 has a revolutionary tread that allows you to enjoy the most extreme off-road performance. When your path takes an unexpected twist, the Battlecross X40 gives you maximum traction and manoeuvrability. 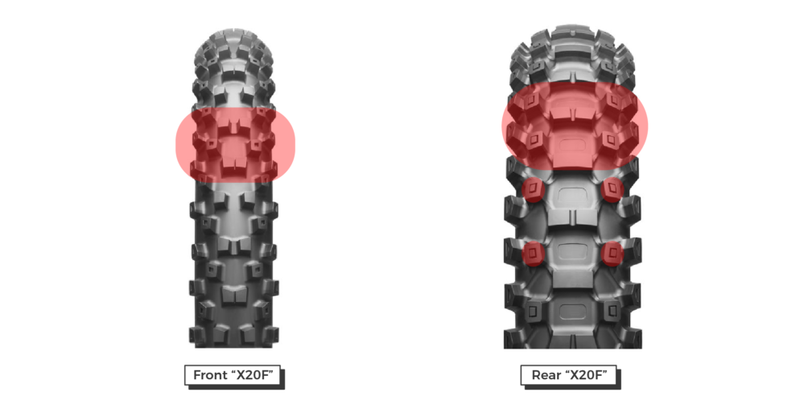 Even the most difficult terrain holds no fear for the most robust tyre in Bridgestone’s motocross range, thanks to its innovative compound and construction techniques. 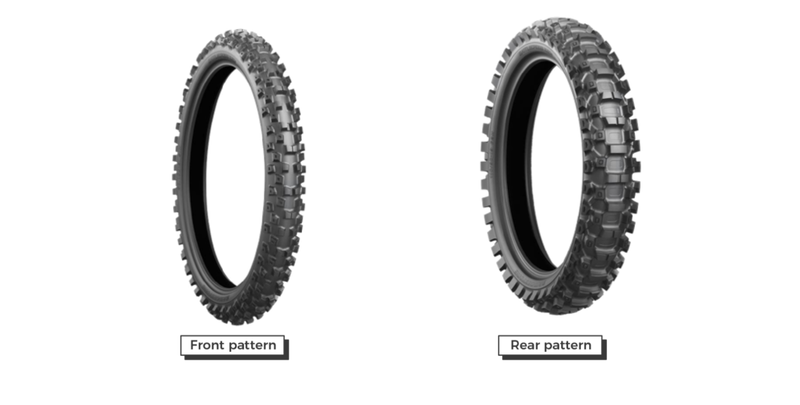 Improved traction and grip extend Bridgestone's unbeatable range of motocross tyres for medium and hard terrains.